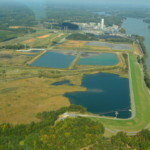 On April 1st, the NC Department of Environmental Quality (DEQ) announced that Duke Energy must excavate all remaining coal ash impoundments in the state. This decision is a huge victory for the residents of North Carolina and those who live downstream of coal ash ponds and comes after many years of advocating for cleanups. We want to thank the citizens, volunteers, collaborating organizations, and our legal representatives who helped make this happen. This decision marks the end of an almost decade long battle to clean up coal ash the four coal plants on the Catawba. We are grateful for the support and civic engagement and we are grateful that the NC DEQ listened. Also, thank you to everyone who donated to the Catawba Riverkeeper Foundation. 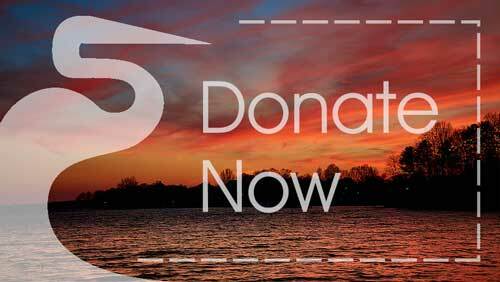 Your dollars were put to work to advocate for the health of our water. 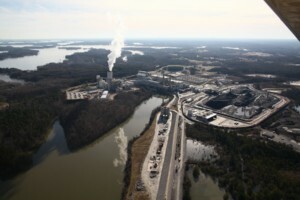 The Catawba-Wateree River is home to four coal fired power plants. For nearly a decade, the Catawba Riverkeeper Foundation’s (CRF) goal has been to secure the cleanup of the coal ash at each of these sites (Wateree River, Mountain Island Lake, Lake Norman and Lake Wylie). CRF has advocated for safe cleanups by reporting violations, sharing sampling results, educating elected officials and the public, and through litigation. In August 2012, thanks to our attorneys at the Southern Environmental Law Center, a settlement was reached with South Carolina Electric & Gas to clean up coal ash at the Wateree Station on the Wateree River. 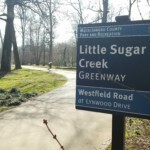 By the next March, CRF had begun its legal battle to require Duke Energy to clean up the coal ash on the banks of Lake Norman, Mountain Island Lake, and Lake Wylie. The coal ash threat gained national attention when, in February 2014, 39,000 tons of coal ash from Duke Energy’s Eden, NC facility spilled into the Dan River. Duke Energy later plead guilty to criminal negligence for their handling of that spill and faced fines. While CRF continued to advocate for coal ash cleanups through litigation, state legislators got involved, ultimately creating new rules through the Coal Ash Management Act. As a result, the coal ash from Riverbend Steam Station on Mountain Island Lake (and other sites in NC) was slated for cleanup. Now, most of the ash from the banks of Mecklenburg and Gaston County’s drinking water reservoir has been moved to lined landfills. Finally, the last two coal ash sites in our watershed are going to be cleaned up! This week’s announcement from the NC DEQ secures a cleanup on Lake Norman and Lake Wylie, the remaining coal ash sites on the Catawba River. The Catawba Riverkeeper Foundation is thrilled that the state is protecting public health and the environment. The state’s decision was primarily based on the groundwater contamination caused by coal ash. This contamination has already moved off site and would have continued to do so if capped in place. The state agreed with our conclusion that the only way to stop this pollution is to excavate the source. DEQ Secretary Michael S. Regan said, “DEQ rigorously reviewed the proposals, and the science points us clearly to excavation as the only way to protect public health & the environment.” You can read the full report here. The Catawba Riverkeeper Foundation will continue to be involved until all coal ash is safely stored or recycled. Ensuring healthy rivers, lakes and streams for everyone who depends on and enjoys them continues to be our mission.